With the large selection of Axor accessories, you will always have the right product at your fingertips when it comes to furnishing bathrooms and kitchens with a real sense of style. Impress your customers with supplementary products that are both useful and of a high aesthetic standard, yet which also meet fastidious requirements in terms of comfort. 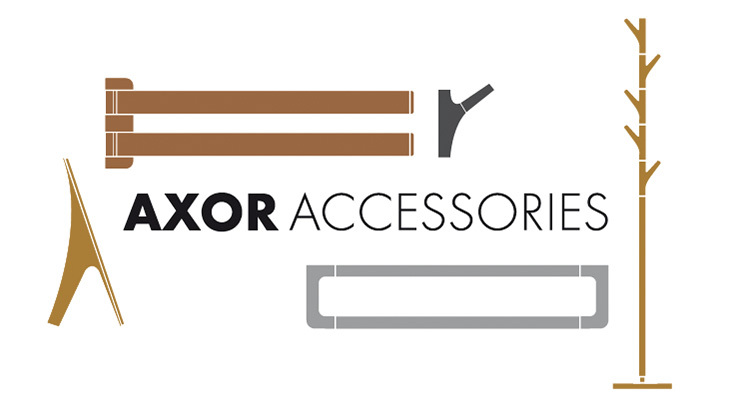 Axor accessories were developed in collaboration with the world's leading designers and as well as being compatible with lots of Axor bathroom collections, the large number of product variants also makes them the ideal solution in a variety of different style worlds – purist, organic or classic. The use of high-quality materials and their timeless design make the individual elements ideal for upscale bathroom furnishing. On this page we show you a selection of accessories which can be used across all the collections. You will find other accessories in the individual Axor collections. The collection-spanning accessories range is modular in design and is therefore exceptionally flexible. The high-quality elements, made of glass and metal, can be used individually or in combination with one another. They are easy to install, low-maintenance and durable. The universal design fits in perfectly with a wide variety of style worlds – in both bathrooms and kitchens. In the Axor Starck bathroom collection, the aesthetic minimalism of French designer Philippe Starck has also influenced the design of the soap dishes, single hooks, towel racks, tooth brush tumblers, wall lamp and lots more. The Axor Urquiola accessories constitute part of the collection's fusion of styles. Therefore the bath towel holder, soap dish, wall hook, tooth brush tumbler and other elements go well with other Axor collections. One special feature of the collection is the versatile shelves. These are available as accessories in two sizes, freely positionable or for wall mounting. The range is completed by hooks, tooth brush tumblers, towel racks and a mirror. Axor Montreux offers coordinated accessories for a traditional bathroom design. Bathrooms can be classically furnished using Axor Montreux accessories, which range from tooth brush tumbler and wall light to pull-out shaving mirror, and lots more.